After a small release in theaters last month, "The Chameleon" is now released on DVD! If you didn't have the chance to see Emilie de Ravin's new movie in theaters, this is your chance! 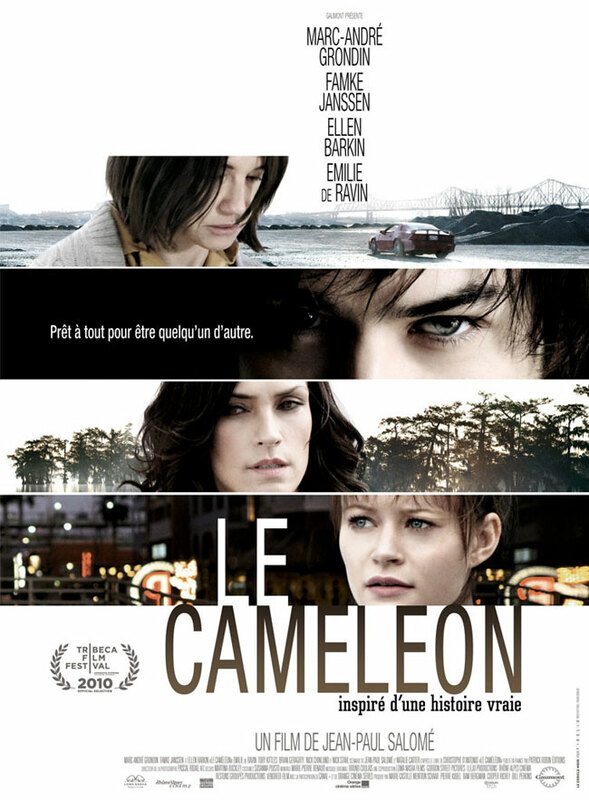 "The Chameleon" DVD was released last Tuesday and it is also available on VOD. If you want to save some money you can also order it on Amazon.com. Here is a link for more information: Order "The Chameleon" on Amazon! 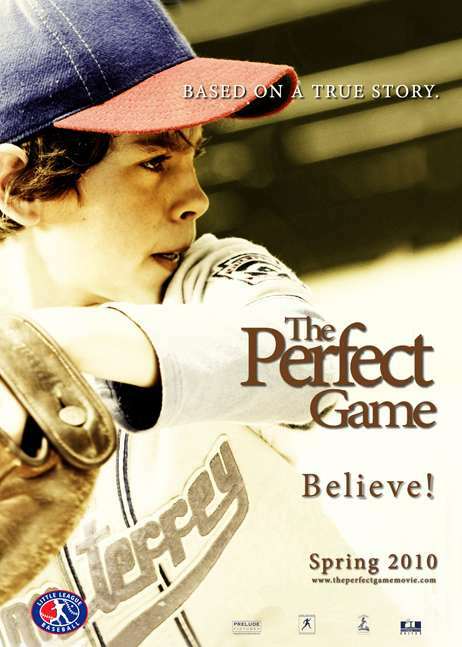 Synopsis: A missing teenager, mysteriously resurfacing long after his disappearance. A fractured family, welcoming him home after years of anguish. An awkward reunion, where tensions simmer beneath the surface. A loved one has returned, but something clearly is not right. One determined FBI agent senses that the boy’s story does not quite fit. But if he is who he says, what is the family hiding? And if he is not, then who is he, and why is everyone playing along? As pieces of a mysterious puzzle are put together, an unveiled past will reveal deep and dark secrets. www.nelonen.fi visits the set of "Love and Other Troubles"
The shooting of "Love and Other Troubles" might be over in Finland but this doesn't mean we will stop have updates related to the movie! Today finnish site www.nelonen.fi posted a brand new video from the set of the film. In the video you can see director Samuli Valkama and the rest of the crew shooting scenes with Emilie and her co-star Jessica Grabowski. The actresses and and mr Valkama talked about the movie with Channel 4 news reporter Mari Schildt! Check out the video here: Channel Four News on the set of "Love and Other Troubles". - Turku, architecture, buildings can be found in a large scale. Turku is a freshness of feeling, i was born in Turku, Valkama says. - We went through several different stages before we were able to discuss directly with the actress. De Ravin was immediately excited about the project. She liked the script! It seems that it's a wrap for "Love and Other Troubles"! At least in Finland! After shooting started on July 19th, today a producer of the film announced via Twitter that it's the last day of shooting! As you may know, a part of the film is gonna be filmed in the US, so the entire production will be finnished in September. The location where the movie will be filmed is not known yet, but i suppose it is Los Angeles! From now on, if you are a Facebook user, you will be able to get informed about "Dedicated to Emilie's" latest updates by being a member of the site's Facebook page. 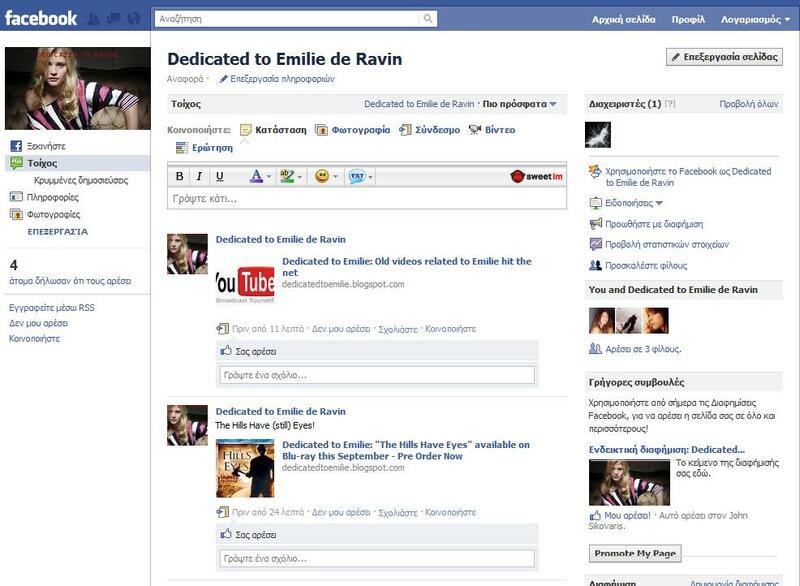 The only thing you have to do is use the following link and press "Like" on the page: www.facebook.com/Dedicated-to-Emilie-de-Ravin! Everything posted on "Dedicated to Emilie" will be published on the Facebook page as well! Don't hesitate to leave your comments there as well! Your opinion matters to me! After hitting theaters five years ago and collecting $69,623,713 worldwide, "The Hills Have Eyes" will be realised in Bly-ray on September 13th. The movie is considered as a really good remake and a great horor film. Some of you might don't like this particular gerne because of the disturbing scenes shown in such movies, but the majority of the horor fans would agree that "The Hills Have Eyes" is a good film! 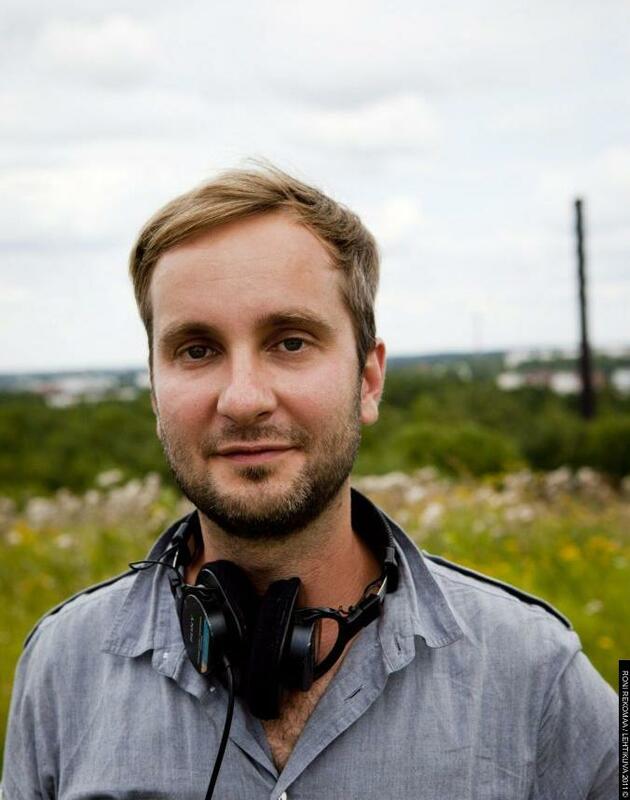 It is directed by Alexandre Aja - who is also responsible for "Haute Tension"(2003), "Mirrors"(2006) and "Pirahna"(2010) - and the cast include talents such as Aaron Stanford, Kathleen Quinlan, Vinessa Shaw, Dan Byrd, Ted Levine and Emilie de Ravin of course! 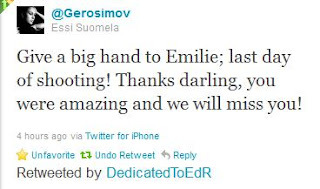 Make sure to visit "Dedicated to Emilie" again because more things about the film, will be presented in the upcoming weeks! If you want to pre order the movie, you can visit www.blu-ray.com for more information!